After shoes have been shined and the final bobby pin is in place – the night from here on absolutely flies by! The more memories that can be captured, the better, as these will be looked back on fondly for many years to come. Every school formal has a photographer to capture some gorgeous portraits that will be proudly displayed in family homes, but if you want to increase the number of photos captured throughout the night and the amount of fun had, look no further than a photobooth! It’s no secret that school formals are some of the busiest events we do! The graduates pile into the booth to create some lasting memories with their friends, formal dates, and even their favourite teachers! We all know the youth of today love a good selfie (and if we’re being honest, we do too! ), but you will often find that the more introverted guests will hold back when there is someone behind the camera. The beauty of the booth is that there is no one standing behind the camera! Our friendly booth attendant will be outside the booth to help if anyone has any questions or if they need some posing tips, but they aren’t there to snap the photos. This helps everyone to feel comfortable posing away in the booth, creating some real booth magic! As each booth sequence works on a timer, this ensures the process is quick and easy! Guests will form a line outside the booth, the first group will enter the booth, use the touch screen to decide whether they would like colour or black and white photos, then the sequence begins! In just a flash (three or four, to be exact ;), the sequence will be over and the guests will exit the booth to wait outside for their photos to print. As they wait, the next group can enter and start boothing! Every In the Booth hire package includes our exclusive app service! The In the Booth app allows each guest to download the digital copies of their own photos straight to their phones using a unique code that is included on each print. They can then use these as they wish, whether that be sharing to social media or sending a photo to Mum and Dad. In the weeks following the event, the photobooth organiser will also receive a USB including the high resolution copies of every image taken of the night. These images can then be distributed as you see fit. 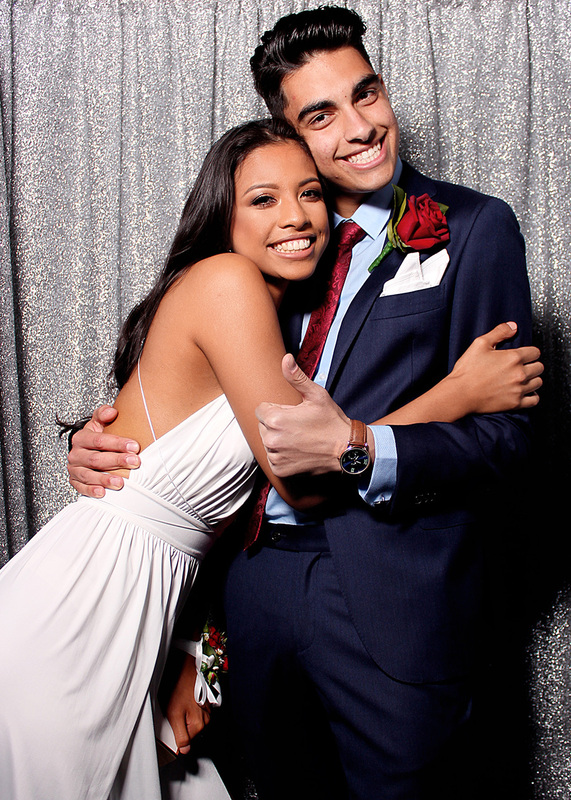 If you’re ready for some photobooth fun at your school’s senior formal, send us an enquiry today!